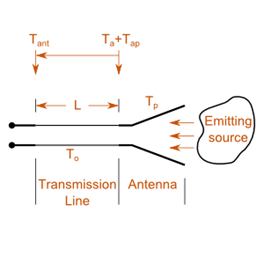 A visual representation of the antenna, transmission line and receiver connection. Every object with a physical temperature above absolute zero radiates energy. The amount of energy radiated is usually represented by an equivalent temperature.